Garden Grove, CA. February 15, 2019. 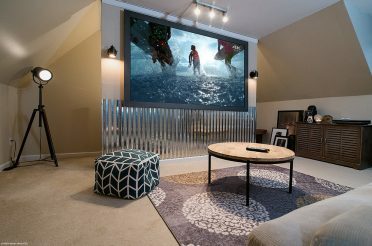 Elite Screens, a leading US projection screen company is pleased to announce that they have successfully crossed an ambient and ceiling light rejecting material (ALR/CLR®) with the properties of an acoustically transparent screen. The dual-projection material means that regardless if it is front or rear projection, there is an equally bright and clear picture on either side of the material. If Elite can provide a product good enough for a place many Hollywood elites call “home”, imagine the possibilities in your home. The Beverly Hills Playhouse has for over thirty-five years offered ongoing intensive scene-study acting classes in Los Angeles, Beverly Hills, San Francisco, and New York for both the professional actor and those who are looking to develop themselves into professional actors. The BHP is well known for Milton Katselas’ unique approach, which addresses Acting, Attitude, and Career Administration. Among the alumni of this institution are names such as George Clooney, Gladys Knight, Michael Pena, Tom Selleck, Patrick Swayze, and many more. 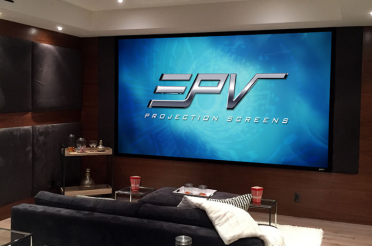 CineTension 2 WraithVeil Dual is a sturdy, well-made electric motorized projector screen that has front and rear-projection capabilities. Its tab-tensioned material provides uniform flatness for exceptional projected image clarity. The Wraith Veil Dual material presents a bright, clear image on both sides when projected upon from either angle. This versatile fabric gives optimal results under controlled room lighting while maintaining excellent performance under mild levels of ambient lighting with a high lumens (output) projector. The screen drops and retracts by means of a powerful tubular motor. Its sliding installation brackets ensure a perfectly centered installation. In addition to the installation kit, a full IR/RF, RJ45 and 12-volt trigger control package is included. 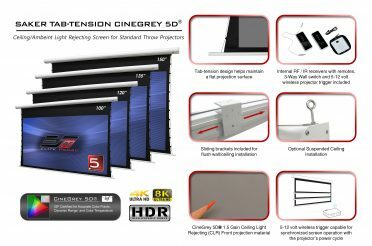 The product featured in the video is a CineTension 2 WraithVeil Dual (TE150HR2-DUAL) 150” screen in a 16:9 HDTV format. 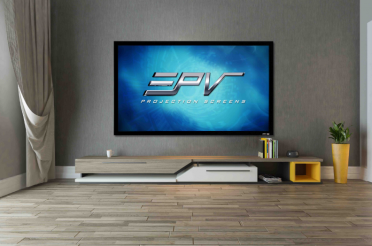 Elite Screens Inc. is a US based projector screen manufacturer with its world headquarters in California and facilities across the US, Germany, Taiwan, China/Hong Kong, Japan, India, and Australia. 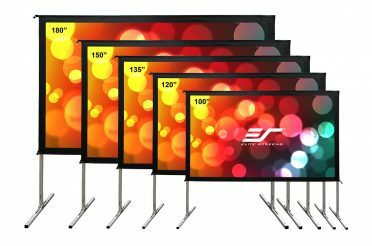 Elite is an ISO9001:2015 certified manufacturer that specializes in producing retail, commercial and home-theater projection screens for virtually any presentation environment. This includes front/rear projection as well as matte white, ALR/CLR, and acoustically transparent materials. Elite delivers its promise of top-level quality through cost effective products for today’s discerning video enthusiasts. Our team is proud of the industry certified, award-winning products and service that our industry demands. Elite Screens, Inc. is located at 12282 Knott St. Garden Grove, CA 92841. For more information, please call 877-511-1211 or visit http://www.elitescreens.com. 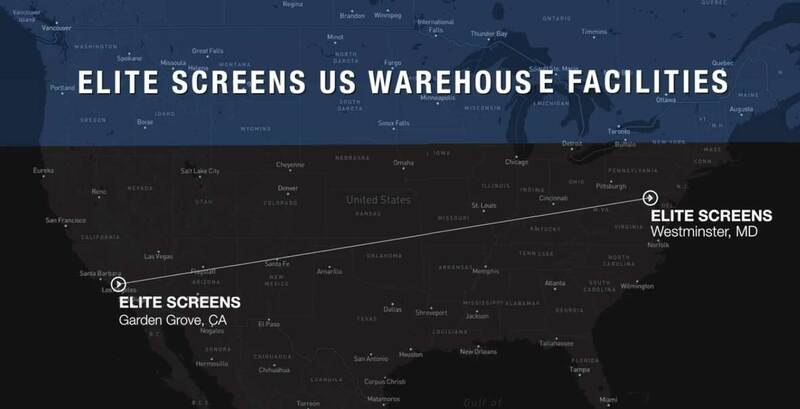 Elite Screens is headquartered at 12282 Knott St. Garden Grove, CA 92841.